Looking for an insurer you can rely on when you need them? We’ve been taking care of homes for over 30 years. Cover for your house and contents. Covers your house and other buildings on your property. Cover for your contents at home and away. We’ll also protect your investment with landlord's insurance and take care of your valuables wherever you are, with optional personal valuables cover. We’re here to pay claims and make your life easy in the process. Our claims team are available for you to make a claim 24/7. With three levels of cover to choose from and flexible optional extras, you’ll only pay for the cover you need… and no more. Unlike some other insurers we’ll replace your contents with new equivalents, regardless of the age of your item. Our accidental damage policy is cover you’ll find very useful. It takes care of your contents, from cracked TV screens to lost phones – anywhere in Australia! We have a tried and tested network of builders and tradies, available around the clock for emergency repairs. 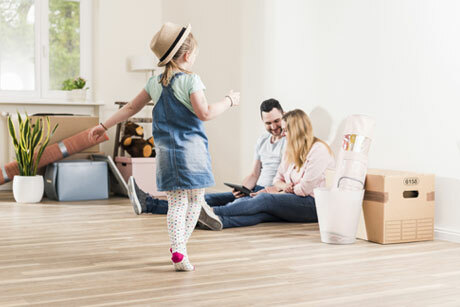 Whilst every claim is different, there are always a few things you can expect with HBF: we’ll be available 24/7 to lodge your claim, we’ll move things along as quickly as possible, and we’ll keep you informed at every stage. Need to make a claim? Follow these simple steps. Start your claim at any time of the day. Call 1300 559 867 to talk to a specialist. *We will cover the cost of alternative accommodation up to 10% of the building’s or content’s insured value (as applicable) and up to a maximum of 12 months.